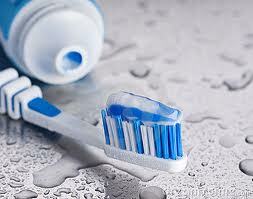 Good oral hygiene is important for maintaining your overall health. It is generally appreciated within the dental and medical community that poor oral health can be linked to heart and lung disease, diabetes, stroke, extremely high-birth weight, premature births and now, Alzheimer’s disease. The presence of oral problems is usually the first warning signs of some of these general health issues. This consensus among the various healthcare providers has risen to level that the U.S. Surgeon General has issued policy statements on oral health as a strong indicator of overall health and well-being (CDC, 2006). Brushing and flossing have risen in importance as your key ‘between visits’ maintenance tools. In addition, using the proper products for home care such as an electric toothbrush and ADA approved toothpastes and washes are equally important. Without consistent care, several general as well as oral health problems may result or be exacerbated. For all ages, you should consult with your dental care provider about using supplemental fluoride; especially if your water is not fluoridated or the majority of your water consumption is through bottled water. In those areas without fluoride in the water, the rate of tooth decay and other health issues is much higher. While practicing good oral hygiene is vital to your health, there is only so much that brushing and flossing can do. Your average patient can easily overlook conditions that could greatly complicate or even end one’s life. Thus, visiting your dentist for regular checkups is a vital part of your overall health care. “Routine dental exams uncover problems that can be easily treated in the early stages, when damage is minimal” (American Dental Association [ADA], 2008). Since gum disease is acknowledged as a major risk factor for heart disease, stroke, and certain forms of cancer, regular visits to your dentist can help prevent and treat these potential diseases. By treating conditions early and learning from your dentist how to prevent oral health issues, you can achieve better overall health and ultimately better the quality of your life. Your dental care is an important aspect of your general health care. So you need to make sure you find a dentist that is right for you and your family. This can be a difficult process. Look for someone who’s competent and you feel comfortable with, one you can have a collaborative relationship with. This is important because there are conditions and problems that were not discussed in this article that the dentist will need to pay attention to during your regular checkups. Hopefully after reading this article, you will have a heightened understanding of the basic need for good oral health. If you have additional questions or concerns feel free to contact us. Dr. Scheinfeld is an Emory University School of Dentistry trained prosthodontist treating patients in the Sandy Springs, Chamblee, East Cobb, Dunwoody, Roswell, Alpharetta, Vinings and Buckhead areas of Metro Atlanta. Of the 170,000 dentists in the U.S., less than 2% are prosthodontist. Next postDentist Marietta: How Much Does a Root Canal Cost?